As Virginia Tech and No. 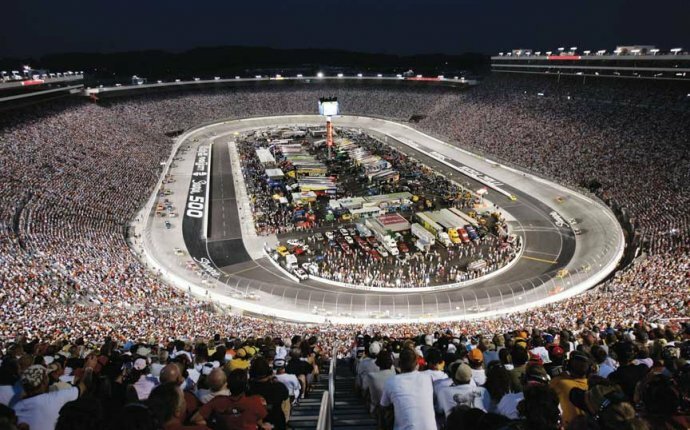 17 Tennessee prepare to set college football‘s all-time attendance record when they play Saturday’s Battle at Bristol, the staff at Bristol Motor Speedway is finishing the monumental job of turning a racetrack into a football field. Days it took for 15 Astro Turf employees to build the playing surface. Tons of rock and manufactured sand — 450 truckloads worth — hauled in to form the base of the playing surface. Pounds of silica and rubber placed on top of the base layer. Square feet of artificial turf used for the field, which measured exactly 1.5 inches tall. The height is measured three times in 10 locations on the field before it is approved suitable for play. Expected attendance for the game, which would set a new world record for the largest American football game, college or professional. The current record is 115, 109, set at the Sept. 7, 2013 Michigan-Notre Dame game in Ann Arbor, Michigan. Temporary “premium seating” that was added to the track after the grandstand sold out in May. Starting cost for a VIP ticket located on the track. Number of onsite employees helping to manage the crowd Saturday. Tour buses that will shuttle crowds from park-and-rides located at three towns around Bristol. Law enforcement agencies and contracting companies enlisted to provide security for the game.